Lebanon has acquired four Willard Marine 11-meter cabin rigid-hull inflatable boats (RIBs) and four 11-meter open console RIBs for coastal patrol missions through the U.S. Coast Guard FMS office. The Lebanese navy had also acquired eight of the 11-meter boats under an earlier contract. The Iraqi navy is accepting delivery of ten 7-meter aluminum RIBs, built by Willard Marine. They will be serving as patrol boats and as tenders for larger vessels. 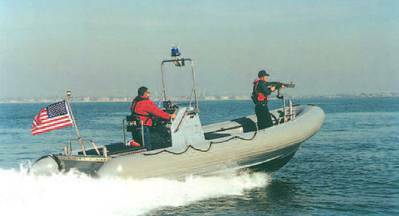 Willard Marine also supplied the original 7-meter aluminum RIBs for the Swiftship’s patrol boats under a U.S. Navy FMS contract. Willard Marine showcases its boatbuilding capabilities at the 2013 WorkBoat Show in New Orleans, Oct. 9-11, in Booth 2343.